Many people all over the world have found our tools about improving human connection to be helpful, not only in their workplace but also in their personal lives. Below are some of the principles we get asked about the most. If there is something you learned from us in our books or in the work you have done with us in the past, but you don't see it here, please contact us and we will be happy to share more details with you. The best conversations are both fact-based and purpose-driven. It is possible to effectively raise and resolve difficult issues in a way that they can be heard and generate value. 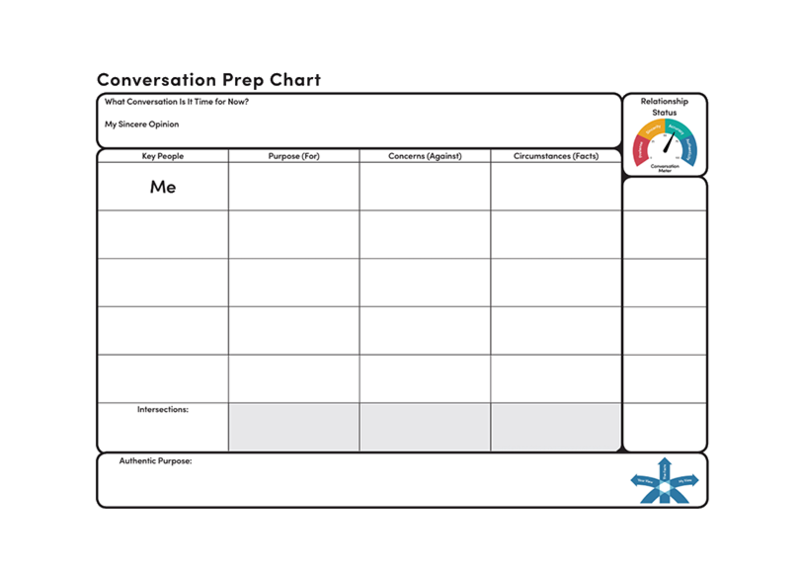 The Conversation Meter can help you diagnose when conversations are on- or off-track, predict likely outcomes if the conversation continues as it is, and prescribe potential new and beneficial responses to improve outcomes. 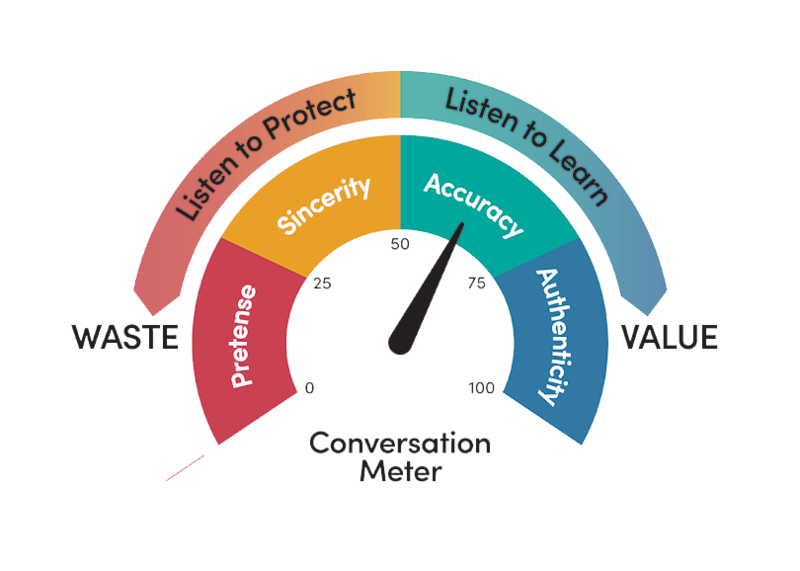 Click here to learn more about the Conversation Meter and how to improve your conversations. Do you need to have a difficult conversation? Is it important that this conversation help resolve challenges instead of creating more? 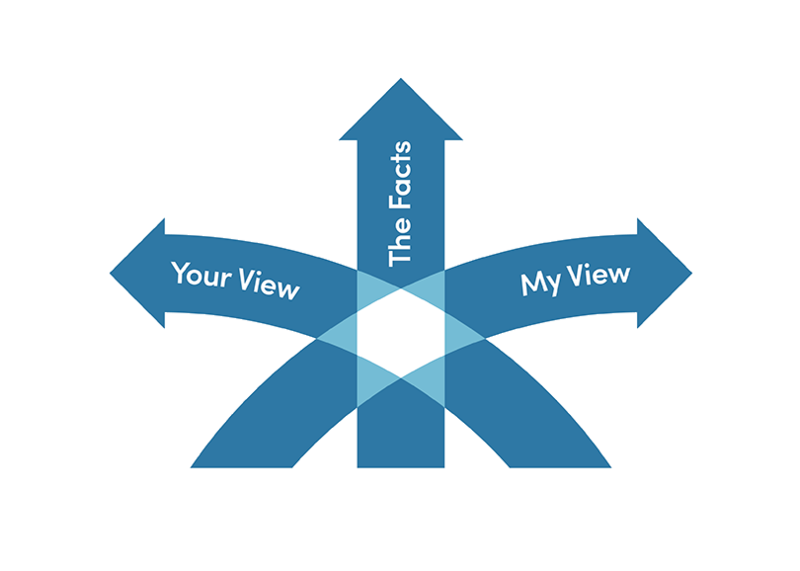 The conversation prep chart helps you understand what matters to key stakeholders and prepare for those important conversations. 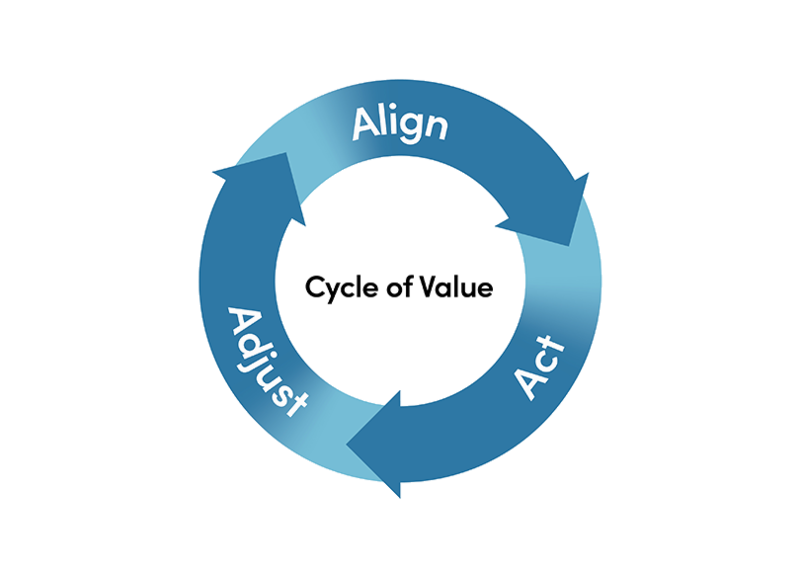 All over the world, across industries and cultures, we have found that sustained success features a repeating cycle: Align, Act, Adjust. We know that leaders who respect the rhythm of this cycle are able to more effectively diagnose problems, predict impending results, and prescribe the right actions for the right time. All humans have purposes (things they are for), concerns (things they are against), and circumstances (facts). When people perceive you are unaware of or opposed to their purposes, concerns, and circumstances they resist – producing waste. When people perceive you are aware of and sensitive to their purposes, concerns, and circumstances they communicate and collaborate – producing value. Learn more about how to create intersection and increase your value at work.